The middle of the world that is! 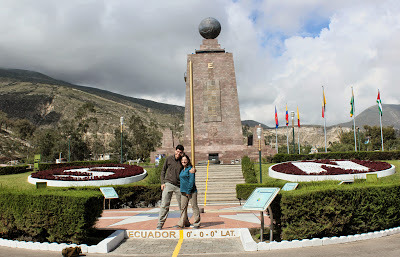 Shira and I are in Ecuador and today we made it to the Equator (or close enough). We also visited a Cloud Forest and had other adventures, too. But I'm too wiped for a full update. Expect one soon.